Antoine Inch Thomas’ sophomore venture introduces Anthony Wheeler, who is no different than the many underprivileged children growing up in the Bronx Housing Project. Stumbling into the world of drugs and the underworld he threw himself directly in the path fast pace money-making destruction. Slapped in the face with the reality of his chosen course, he has absolutely no regrets. 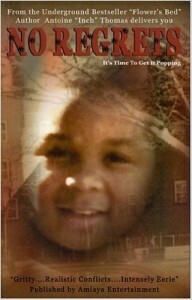 No Regrets is about a young boy growing up in the Edenwald Projects in the Bronx. The protagonist Tone gets his start in the drug game by watching his sister Crystal’s boyfriend, Bo.Tone grew up struggling in a single parent’s home. He wanted to give his mother a better life, and himself as well. At the age of twelve, he begins by helping his sister bag. But he had higher aspirations, so he begins to sell drugs. Through a twist of events, he meets a major connect, and starts moving major dope to big players. However, due to an unfortunate incident, the police began searching for Tone, until they surrounded him in a major road block. 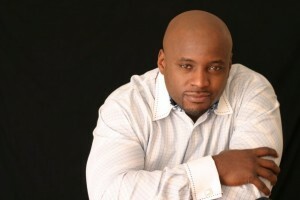 Antoine “Inch” Thomas is a creative writer who has the uncanny ability to keep you guessing and in suspense. I highly recommend this book. I’m not one to publicly disclose my personal associations. However, I thought it imperative to make an introduction prior to publishing this open letter. I have been in contact with Kwame for quite some time now and we have become close friends. I’ve been able to benefit from his brilliant mind and visionary concepts, especially when it comes to the urban literature industry. I have come to respect him a great deal. I truly believe and am in support with what he is presenting in his open letter. I hope you do too. I salute you, I salute us. Here’s to our tenacity, our drive, our passion, our hunger, our HUSTLE. Together we have taken this street lit to another level. In just over ten years, we’ve created a MULTI MILLION dollar industry… for everyone else, but ourselves. Take it from someone who was here from the beginning, day one, one of the first born so to speak. Like Hip Hop started in the basement, we started in the trunk, car trunks, selling our joints hand to hand until we created a buzz, and this buzz blew! Before you knew it, everywhere you looked, someone was reading a street joint. 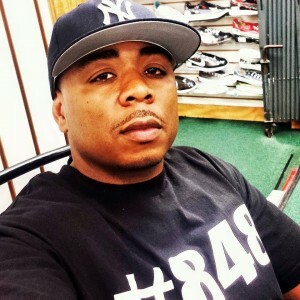 But then the majors heard about us, the big publishing houses, the MAINSTREAM, and they cut checks, big checks, six figure checks, and we thought we had it made, we thought we had arrived. It wasn’t racism, it wasn’t a conspiracy, it was just good ol’ American business. Because those six figure checks weren’t for book deals. No. They were buying our shelf space, our real estate! They signed the best sellers, took the space, then fell back. Genius. Now, of course, we didn’t see it then, some of us still won’t see it now, but just because we can’t see the sun rise over China, doesn’t mean it won’t shine. 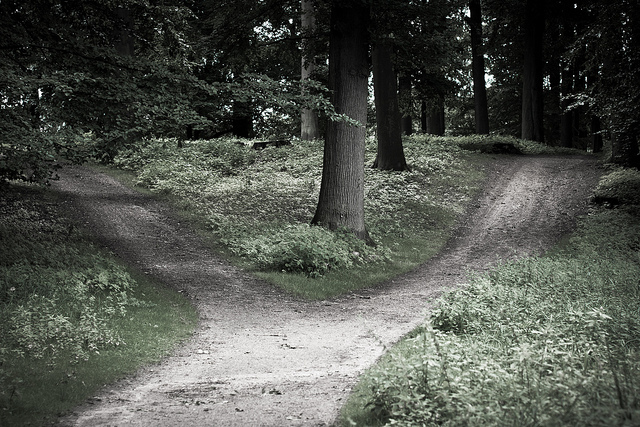 But, the question is… Where do we go from here? Now… this part of this letter isn’t for my brothers or sisters of urban lit, it’s for my brothers and sisters of like minds. The Gods and Goddesses who know how to create, and once awakened, we never sleep again. If this is above your head, I still love you, but run along, this is grown folk bizness. I don’t have all the answers, but we do. We need to come together A.S.A.P., combine forces, let go of the petty jealousies and squabbles and figure out how to get the millions back that we created! Because if we don’t, we’re going to die a slow death by a thousand cuts or suffocate because our one market has become a gas chamber. We must come together. The milk industry did it. The movie industry did it. The mainstream publishers did it. Why can’t we? If you feel like I feel and think like I think, then hit me: Kwame J. Teague #0401897 P.O. 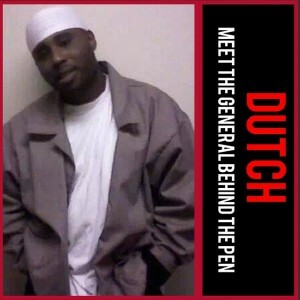 Box 600 Nashville, NC 27856 or email me at dutchthegame @ gmail.com. Let’s form a voltran and take back our millions! Jazmin always had the biggest crush on her childhood friend Sean since she could remember. Being that she was the “cute for a fat girl” and “like a little sister” type of girl, Sean never really gave Jazmin much attention. Now that they’re older, things have changed. Sean has started seeing her in a different light and now they’re caught up in a love affair that Jazmin has been waiting her whole life for. If I could give this book ten stars, I would. Crush is a phenomenal story. 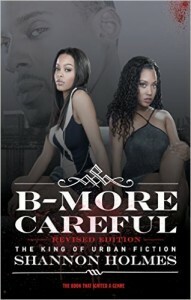 I can’t add much more to the three hundred plus, five star reviews Ivy Symone has received already. All I can say is this, her character development, plot, pacing and comedic flare is outstanding. Crush will probably remain as one of my favorites and on the top my list. I will never forget it. You are probably wondering, what is it that I loved so much about Crush? Well, firstly, it was different. Secondly, Ivy Symone is an extremely talented writer. Thirdly, her characters are so real, my favorite being, Jah. I fell in love with Jah. I would write more, but I don’t want to spoil it for you. Just trust and believe that once you start reading this book, you are not going to want to put it down. And that ending though… all I can say is Wow. 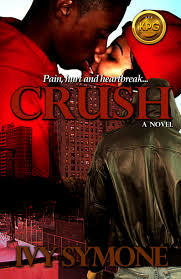 I can’t wait to read Crush 2, which will hopefully drop on August 7th. Ivy Symone was born in Murfreesboro, TN, but was raised and resides in Nashville, TN. She began writing at the age of 10. In 2013, her mother advised her to take her writing skills to a different level and get published. 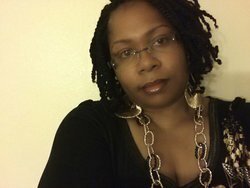 In 2014, she signed under King Publishing and has several best selling books out. When she’s not reading and writing, you’ll find her cooking, watching horror movies and spending time with her family. You can follow her on Facebook, Twitter and Instagram.